The Social Work Podcast: Proposed Changes in DSM-5: Interview with Micki Washburn, LPC-S and Danielle Parrish, Ph.D. Provides information on all things social work, including direct practice (both clinical and community organizing), research, policy, education... and everything in between. Proposed Changes in DSM-5: Interview with Micki Washburn, LPC-S and Danielle Parrish, Ph.D.
There’s an old saying, “What’s the fastest way to cure mental illness in an entire group of people? Get rid of the diagnosis.” The proposed changes to DSM-5 get rid of some diagnoses and add others. But that's not all. If you're like me, you have lots of questions about changes to DSM-5. When I posted the question “what would you like to know about the DSM-5” to the Social Work Podcast Facebook page 11 people responded in less than an hour and 20 people responded by the end of the day. So, what did they want to know? Jessica, Shelly, Sandy, Spring, Paul, and Suzannah wanted to know about autism, depression, and personality disorders. Shylah and Jen wanted to know about addictions. Lisa wanted to know what was up with ADHD. Ciarrai and Lyndon posed some great questions about the merits of DSM diagnosis in social work practice. In today's Social Work Podcast, I speak with Micki Washburn, MA, LPC-S, NCC and Danielle Parrish, Ph.D. about proposed changes in DSM-5. We talked about the cross-cutting dimensional assessment, changes in the organization of the DSM-5, and changes in diagnoses such as ADHD, Asperger’s, Autism, Depression, Substance Use, and personality disorders. We talked about some of the intended consequences such as greater accuracy for diagnosis, and some of the possible unintended consequences such as loss of funding for diagnostic-specific services. We end with some thoughts about social work’s role in the new DSM. Update: DSM-5 was published on May 27, 2013. Social work licensure exams in the USA (ASWB) required DSM-5 starting in 2015. 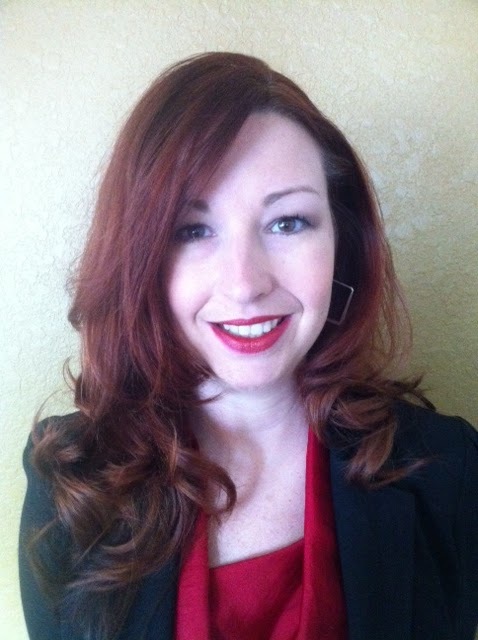 Micki Washburn is a doctoral student and clinical instructor at the Graduate College of Social Work in Houston Texas. She is also a Licensed Professional Counselor- Supervisor who works extensively with Houston’s LGBTQ communities. Her research interests include clinicians’ application of the Evidence-Based Practice Process, the integration of technology in social work education and culturally competent practice with diverse communities. 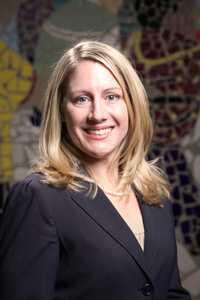 She has conducted a numerous educational seminars for social workers and other mental health professionals on the topics of gender identity and DSM-V.
Dr. Parrish’s research broadly focuses on the development and implementation of evidence-based behavioral health interventions for adolescents and adult females. Specifically, she conducts research that tests the efficacy of interventions to reduce the prevalence of pregnancies affected by alcohol, HIV/AIDS, smoking, and illicit drug use in high-risk populations and settings. Her work has been funded through foundation and federal grants. Dr. Parrish’s prior clinical experience includes working in the following public mental health settings with children, adolescents, adults and families: juvenile justice mental health, infant mental health, and outpatient mental health. She was interviewed for the Social Work Podcast in 2011 talking about the Process of Evidence-Based Practice. Jonathan Singer: There’s an old saying, “What’s the fastest way to cure mental illness in an entire group of people? Get rid of the diagnosis.” In 1973 the American Psychiatric Association did just that. They removed diagnostic code 302.00 from the DSM-II. Overnight, homosexuality went from being a deviant psychopathology to… not. The full story about how this came to be can be heard in the brilliant This American Life episode, “81 Words.” The title is a reference to the number of words that defined homosexuality as a mental illness in DSM-II. Today’s episode of the Social Work Podcast is about a different, but related, story. Today’s episode is about a story that is going to press at the end of November 2012 and is scheduled to be available to the public in May of 2013. But the ending to this story? We probably won’t know how this story ends for years. The story is not about the controversies that have surrounded the development of the DSM-5, although there have been many. The story is not about the irony of the DSM-5 eliminating the 5 axis system in favor of the single axis system used by the ICD. No. The story with the unknown ending is the story of how the changes in the DSM-5 will redefine reality for hundreds of millions of people. I’m not just talking about consumers of mental health services. I’m talking about providers, parents, insurance companies, book publishers, comedians, and of course pharmaceutical companies. Ok. So have I piqued your interest yet? Good. My interest in DSM-5 has been piqued for a couple of years. Mainly because, to be totally honest, I’ve been totally confused by all the proposed changes to the DSM. It seemed like every couple of months they’d add a diagnosis and then remove another, and then the diagnoses would be back. The criteria for diagnoses kept changing. They proposed changes to the organization and structure of the DSM-5. And on top of all that, the guys who headed up DSM-III and DSM-IV, Robert Spitzer and Allan Frances kept coming out with editorial after editorial slamming the DSM-5 process and product. I didn’t know what to think. I knew I wasn't alone in my confusion. When I posted the question “what would you like to know about the DSM-5” to the Social Work Podcast Facebook page, eleven people responded in less than an hour, and 20 people responded by the end of the day. So, what did they want to know? Jessica, Shelly, Sandy, Spring, Paul, and Suzannah wanted to know about autism, depression, and personality disorders. Shylah and Jen wanted to know about addictions. Lisa wanted to know what was up with ADHD. Ciarrai and Lyndon posed some great questions about the merits of DSM diagnosis in social work practice. So, when I read Danielle Parrish's editorial on Changes to DSM-5, co-authored with UT-Austin's Beth Pomeroy and published in the Fall 2012 issue of Social Work, I thought, "I gotta talk to her." (Some of you might remember my 2011 interview with Danielle about the Process of Evidence-Based Practice). So, I sent Danielle an email inviting her to talk about DSM-5 and she said yes right away. And then she recommended that we include an expert in the proposed changes to DSM-5, Micki Washburn (Micki's article, "What social workers should know about DSM-5" is forthcoming in Social Work). In today's Social Work Podcast, Micki, Danielle and I cover a lot of ground in 15 minutes. We speak about the cross-cutting dimensional assessment, changes in the organization of the DSM-5, and changes in diagnoses such as ADHD, Asperger’s, Autism, Depression, Substance Use, and personality disorders. We talked about some of the intended consequences such as greater accuracy for diagnosis, and some of the possible unintended consequences such as loss of funding for diagnostic-specific services. We end with some thoughts about social work’s role in the new DSM. One note about this interview. The information on DSM-5 discussed in this episode is based on the proposed changes. Social work students, practitioners, and educators should consult the final version of DSM-5 for authoritative information about diagnostic criteria, categories, and other issues discussed in this episode. 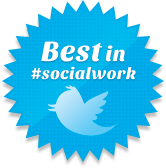 And now, without further ado, on to episode 75 of the Social Work Podcast. Proposed Changes in DSM-5: Interview with Micki Washburn, LPC-S and Danielle Parrish, Ph.D.
Jonathan Singer: Danielle and Micki, thank you so much for being here and talking with us about DSM-5. What is the difference here between diagnosis and this cross-cutting dimensional assessment? Micki Washburn: Well, diagnosis of course needs to be done by a trained and license clinician. The cross-cutting assessment is a client self-report tool that helps us to establish a baseline and evaluate efficacy of treatments in terms increase or decrease in certain symptomology like depressed mood or anger or anxiety levels. Jonathan Singer: So, if I've got a client that I've diagnosed with ADHD I would still use this cross-cutting dimensional assessment? Micki Washburn: If you would like to go ahead and get that information from your client so that you can maybe capture some things from the client’s perspective that you don’t get in your diagnostic interview, it's another piece of information to fill out the puzzle for you. Jonathan Singer: Okay. I can see that because I've had clients who have been diagnosed with ADHD, but they do get angry right, they’ve been angry, they’ve been depressed, they’ve been suicidal and that’s not captured in the diagnosis. So, that’s what you understand it’s used for? Micki Washburn: Yes. As I understand, that’s how it's used, that it's not supposed to be a pre-screening tool or a diagnostic instrument, but rather to give us more sources of data so that we can accurately get to the core of what's going on with the client and how to best help them based on these symptoms and the severity. Jonathan Singer: So, one of the other things that I've seen is changing is that it's – DSM-5 is going to be organized differently. Like, for example, I work with children, adolescents primarily and my go to was that section which was called Disorders Usually Found in Infancy and Childhood, but I looked on the website and... that is gone. So, what's the deal? Danielle Parrish: Yeah. It's all gone. They're actually – they’ve changed the organization of the manual and they have basically arranged it into categories of shared etiology or cause I think to stimulate research within those areas. They’ve arranged them by when they're believed to develop or manifest so things that would happen in childhood typically, or show up in childhood, would start first and then things in adulthood and so on. Jonathan Singer: Yeah, so like Pica and eating disorders are now in the same category where Pica used to be a disorder of childhood but eating disorders wasn’t, because Pica and eating disorders are sort of etiologically the same. Is that what you're saying? Micki Washburn: Yeah. The way that they have things structured now is – by the way, you can find most of the things that you used to find in the disorders of childhood and adolescents in your neuro-developmental disorders, that’s kind of the analogous category that has a lot of those diagnoses still in it. And so at the beginning of the manual, you'll find these things, and then throughout the manual you'll have things grouped based upon kind of a crossover of symptoms. So, for example, your mood disorders: What used to be mood disorders is now unipolar disorders and bipolar disorders and they’ll be organized next to each other. Same thing with the anxiety disorders which is now being broken into three groups. You have your anxiety disorders. You have your trauma-related disorders, and your obsessive compulsive-related disorders which, within the course of the manual, will be close to each other and then towards the end, disorders that really kind of manifest themselves more frequently in adulthood or late adulthood, for example your sleep disorders, will be more towards the end of the manual, so it’s supposed to have a developmental type progression and feel. Jonathan Singer: So, Micki, you were just alluding to the fact that there are going to be changes in diagnosis and one of the big diagnoses that I worked with was ADHD and I know that there are going to some changes to the diagnostic criteria for that. What are they? Micki Washburn: Well, first of all, it's going to be in the category of neuro-developmental disorders and the major change – and there's a couple of minor ones, but the major change is establishing that the symptom profile has been present prior to age 12 rather age 7. Jonathan Singer: That’s huge because I know that that’s one of the things that was a big complaint of a lot of the parents that talked I with. You know like well so my kid was 9, does that mean my kid doesn’t have ADHD? What's my kid have? Micki Washburn: Yes, and I think that you're correct about that, that this is an offshoot of maybe the research evidence showing that 95% of the cases of ADHD can be accurately captured prior to age 12, but as we go younger and younger that percentage gets lower. Jonathan Singer: All right. So speaking about kids, you know, what's the deal with Asperger’s disorder and pervasive developmental disorder, NOS? Why have they been subsumed under this autistic spectrum disorder? So, I've got a client who’s diagnosed with Asperger’s disorder, does this mean that in 2013 my client will no longer have Asperger’s disorder? Micki Washburn: I think that’s correct that your client will no longer have Asperger’s, however, the diagnosis would be consistent with that of being on the autistic spectrum, so that would be the updated diagnosis for your client. Jonathan Singer: So, my Asperger’s client will now be autistic. Micki Washburn: That’s correct and hopefully as an offshoot of that maybe the stigma attached to the diagnosis of autism as being this pervasive and severe illness might be lessened when we see that it's a range or a spectrum of levels of functioning and that there are very high functioning people that could fall into this spectrum as well as people that are not functioning at such a high level. Danielle Parrish: Let me jump in here. So, I think a lot of the consequences of this change are yet to be seen. We don’t know for instance, for someone who’s had an Asperger’s diagnosis their entire life, what it's going to mean for them in terms of having all of a sudden being diagnosed autistic. You know whether or not they're going to perceive a stigma attached to that and if they're going to accept that. You know, the other consequences that we don’t know about are how that’s going to impact services and what's going to be funded. Are certain people going to lose services because they're on the milder end of the spectrum? Are they going to still qualify and you know. So, I think a lot of the consequences remain to be seen. Jonathan Singer: And I think that’s probably an important thing for social workers to be on the lookout. You know, DSM is coming and whether the anticipated consequences and the unanticipated consequences of collapsing a bunch of diagnoses into a spectrum disorder. So, Micki, you were a couple of minutes ago about changes to depressive disorders, could you talk a little bit more about that and some of the other changes that are happening to mood disorders? Micki Washburn: Sure. The category that used to be mood disorders actually is broken down into depressive disorders and bipolar disorders on which clinically is a nice distinction. I think that’s going to be helpful on the things that I think a lot of people in social work are concerned with as a content of some newly added diagnosis in the depressive disorders, primarily the diagnosis of premenstrual dysphoric disorder (PDD). This is the only diagnosis that has been or currently is gender-specific. Jonathan Singer: Okay. So, what's going on with the bereavement exclusion? Danielle Parrish: Yeah. So, with the bereavement exclusion, it used to be with major depressive disorder that you would consider if somebody is grieving a loss that there will be a longer time frame. There will be three months that you would wait to make a diagnosis. Well now they’ve gotten rid of the bereavement exclusion. Jonathan Singer: So, let's say somebody close to me dies and suddenly I make criteria for two weeks for major depressive disorder. It used to be that I couldn’t be diagnosed with major depressed disorder because of bereavement, but now I can be. Danielle Parrish: Right, right. And I think one of the concerns with that from a social work perspective is that culturally people grieve in a lot of different ways and we would consider that to be a normal reaction for some people to have – to manifest those symptoms after a loss within two weeks or three weeks, maybe even four and so I think, you know, it's really important not to pathologize grief and loss... And you know the implications also for people seeking services. You know people may not want to seek services if they're going to be labeled with a mental disorder because they're grieving a loss and I think it also has implications for helping people go through the grief and loss process. What sort of message are we giving if we're saying that people should use medication because they're grieving a loss and not feel the loss and go through the normal process? So, I think it has implications for treatment as well. Jonathan Singer: All right, something else for social workers to look into. Okay. And what's going on with substance use disorders? Micki Washburn: Well, right now when we're talking about substance we're talking about abuse and dependence and I think the terminology and the way that we're talking about it in DSM-5 is different. There's a return of the terminology of addiction in kind of the cognitive behavioral and physiological components of that related to substance and the use of substances, so we're talking about substance use disorders now. Jonathan Singer: So, the dichotomy between abuse and dependence is gone. Jonathan Singer: And it also opens up room for other types of addictions, right? Micki Washburn: Gambling and things of that nature and actually pathological gambling is characterized underneath the substance category now and then something like we will call internet addiction as in the appendix for one of the disorders for further study. Jonathan Singer: So, maybe DSM-6? Jonathan Singer: Something to look forward to... All right. So, personality disorders, these have gone a huge makeover, reducing the number of disorders and putting in a dimensional assessment. Can you talk about these? Micki Washburn: Yes, and this is something that’s kind of been kicked around in the personality round for a number of years and basically we are eliminating disorders that do not have a strong empirical research support base to have them be diagnostically specific on their own with the exception of narcissistic personality disorder, which we are retaining due to the clinical utility of that particular diagnosis. But of the other five personality disorders that are being retained, they map on to different what we call dimensions of personality that are characteristic of a particular disorder. One other diagnosis that is being eliminated is histrionic personality disorder. Jonathan Singer: [joking in a histrionic tone] No way. Oh my God, I can't believe it. Micki Washburn: Yes [smiling], that’s very troubling for some people I'm sure. One of the ones that we're retaining is borderline personality disorder and if we're looking at dimensional assessment, we would say that this particular diagnoses or group of symptoms, something they have in common is this negative affectivity that they are very emotionally labile which is true of a number of different disorders but especially characteristic of this one. And so, we're looking at dimensions of personality that may have before been so overlapping that a client would end up with one or two or three personality disorder diagnosis or our favorite NOS [not otherwise specified] diagnosis and we're trying to go ahead and cut down on the number of diagnoses and really get more specific of okay, what are the traits associated with these things? What is the impairment of functioning in relation to the self and to others and how do we best treat these? Jonathan Singer: So, when I was interviewing Jennifer Muehlenkamp about non-suicidal self-injury, she talked about that becoming a disorder in the DSM-5. But self-injury and cutting has always been associated with borderline personality disorder which we're just talking about. So how does that change things? Micki Washburn: Well, hopefully that is going to lead to a reduction in an overdiagnosis of borderline personality disorder. I think some clinicians wrongly assign that diagnosis with the presence of any type of self-injury behavior but not necessarily looking at the full criteria of these other aspects of things associated with what we will call a diagnosis of borderline and so this hopefully, we'll try to tease that out just because somebody is engaging in kind of mellowed up coping mechanism, it doesn’t mean that they have this pervasive way of interacting with their world which is more consistent with a real borderline diagnosis. So, I'm hoping that this change is really going to kind of tease those two things apart. Jonathan Singer: So, a lot of the things you guys have been talking about, it sounds like it's really trying to specify diagnosis, like really clarify what is problematic and what's not problematic. Do you see this as being a step forward or a step back especially when you think about it for social workers? Danielle Parrish: Well, I think that that has yet to be seen as well. I think it's important that we have specificity in our diagnoses and that we are very clear about what it is that we're trying to treat and how to best go about that. But on the other hand, I think one of the concerns in general with some of the changes is that we're lowering the threshold for diagnosis. We also have a lot of new disorders. So, I think we don’t know yet what the implications are going to be but I think as social workers we need to consider some of the changes, what they mean for our clients, you know, get familiar and prepare for that. Micki Washburn: I think Danielle is absolutely right about that, that the jury is still out on a lot of the implications of these changes and we'll have to wait and see and hopefully it's going to lead to better client outcomes with this increased, hopefully increased validity of diagnosis and also trying to base things on the research evidence that has accumulated over the last 20 years certainly hoping that’s the direction that’s going in, but we really can't tell right now. Jonathan Singer: Well, Danielle and Micki, thank you so much for being here today on the Social Work Podcast talking about DSM-5. Micki Washburn: Thanks for having us. I think it's really important for social work to be talking about this right now. Danielle Parrish: A pleasure Jonathan. Thank you so much. Corrigan, P. W. (2007). How Clinical Diagnosis Might Exacerbate the Stigma of Mental Illness. Social Work, 52, 31-39. Hartlage, S. A. , Freels, S. Gotman, N., & Yonkers, K. (2012). Criteria for premenstrual Dysphoric disorder: Secondary analyses of relevant data sets. Archives of General Psychiatry 69, 300-305. Hopwood, C. J., Malone, J.C., Ansell, E.B., Sanislow, C.A., Grilo, C.M., Pinto, A., Markowitz, J. C., Shea, M.T., Skodol, A.E., Gunderson, J.G., & Morey, L.C. (2009). Personality assessment in DSM-V: Empirical support for rating severity, style, and traits. Journal of Personality Disorders 25, 305-320. Krueger, R. F., & Eaton, N. R. (2010). Personality traits and the classification of mental disorders: Toward a more complete integration in DSM-5 and an empirical model of psychopathology. Personality Disorders: Theory, Research and Treatment, 1, 97-118. Jones, K. D. (2012). A critique of the DSM-5 field trials. Journal of Nervous and Mental Disease 200, 517-519. Langer, S. J., & Martin, J. I. (2004). How dresses can make you mentally ill: Examining Gender Identity Disorder in children. Child & Adolescent Social Work Journal, 21, 5-23. Skodol, A.E., Clark, L.A., Bender, D.S., Krueger, R.F., Morey, L.C., Verheul, R., Alarcon, R.D., Bell, C.C., Siever, L.J., & Oldham, J.M. (2011) Proposed changes in personality and personality disorder assessment and diagnosis for DSM-5, part I: Description and rationale. Personality Disorders: Theory, Research, and Treatment 2, 4-22. Skodol AE, Bender DS, Oldham JM, Clark LA, Morey LC, Verheul R, Krueger RF, Alarcon RD, & Siever L.J. (2011). Proposed changes in personality and personality disorder assessment and diagnosis for DSM-5, part II: Clinical application. Personality Disorders: Theory, Research, and Treatment 2, 23-40. Wakefield, J. C. & Schmitz, M. F. (2012). Recurrence of depression after bereavement related depression: Evidence for the validity of the bereavement exclusion from the epidemiologic catchment area study. Journal of Nervous and Mental Disease, 200, 480-485. Washburn, M. (In Press). Five things social workers should know about DSM-V. Social Work. Wing, L., Gould, J., & Gillberg, C. (2011). Autism spectrum disorders in the DSM-V: Better or worse than the DSM-IV? Research in Developmental Disabilities, 32(2), 768-773. Please take a few minutes to complete this audience survey. After nearly 10 years we've finally gotten around to finding out what you like and don't like. http://survey.podtrac.com/start-survey.aspx?pubid=Iqglf8oKcaQi&ver=standard . Thank you! The Social Work Podcast provides information on all things social work, including direct practice (both clinical and community organizing), research, policy, education... and everything in between. Join your host, Jonathan Singer, Ph.D., LCSW, as he explores topics near and dear to every social worker's heart. 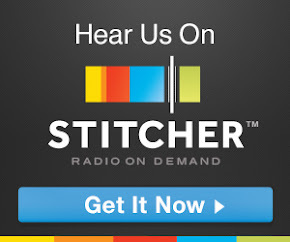 The purpose of the podcast is to present useful information in a user-friendly format. Although the intended audience is social workers, the information will be useful to anyone in a helping profession (including psychology, nursing, psychiatry, counseling, and education). The general public might also find these podcasts useful as a way of learning what social workers understand to be important. If you have ideas for future podcasts, please send an email to jonathan dot b dot singer at gmail dot com. I'm an associate professor of social work at Loyola University Chicago and a licensed clinical social worker who specializes in working with children and families. I have always been an advocate of technology. In the 1990s, I created a number of “first” Web sites for social service agencies in Austin, Texas. In 1996 I developed the first electronic medical record for my agency, ATCMHMR, leading to my involvement in the selection and pilot testing of the first agency-wide remote EMR program. From 1996 – 2002 I worked for ATCMHMR as a bilingual social worker providing individual, family and group therapy to children and families. From 1997 - 2000 I was co-owner of a group therapy practice specializing in conjoint family therapy. From 2002 – 2004 I was the lead therapist for Jewish Family Service and an adjunct instructor at the University of Texas at Austin School of Social Work. As an adjunct at UT-Austin, I developed and taught the school's first Crisis Intervention course. Between 2009 and 2015 I was an assistant professor of Social Work at Temple University. I write for academic and popular publications.
. : logo design by jesse kahn : .